A US government decision to stop using software from Kaspersky Lab undermines fair competition, said Russia. The Kremlin statement came in response to a 90-day deadline given to US federal agencies to remove the security software. The US Department of Homeland Security said it was concerned about ties between company officials and the Russian intelligence services. Kaspersky Lab has repeatedly denied that it has ties to the Kremlin. In addition, US retailer Best Buy has said it would no longer sell Kaspersky products in its stores. The decision also "called into question the reliability of the United States as partners," said Russia, adding that the ban would also undermine the competitive position of Russia firms around the world. It follows an earlier statement issued by the Russian embassy in New York which said the move would prolong an ongoing diplomatic dispute between the two nations. "The department is concerned about the ties between certain Kaspersky officials and Russian intelligence and other government agencies," she said in a statement. "The risk that the Russian government, whether acting on its own or in collaboration with Kaspersky, could capitalise on access provided by Kaspersky products to compromise federal information and information systems directly implicates US national security," she added. 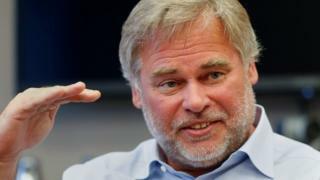 Kaspersky said it was disappointed by the US decision but would attempt to prove that the allegations were unfounded. "No credible evidence has been presented publicly by anyone or any organisation as the accusations are based on false allegations and inaccurate assumptions," the company said in a statement. But two months ago the news website Bloomberg reported it had seen emails between chief executive Eugene Kaspersky and senior Kaspersky staff, outlining a secret cyber-security project apparently requested by the Russian intelligence service FSB. Also in July, the US government's General Services Administration removed Kaspersky Lab from a list of approved vendors. The company has suggested both Russia and the US are trying to use it as a pawn in a geopolitical game.